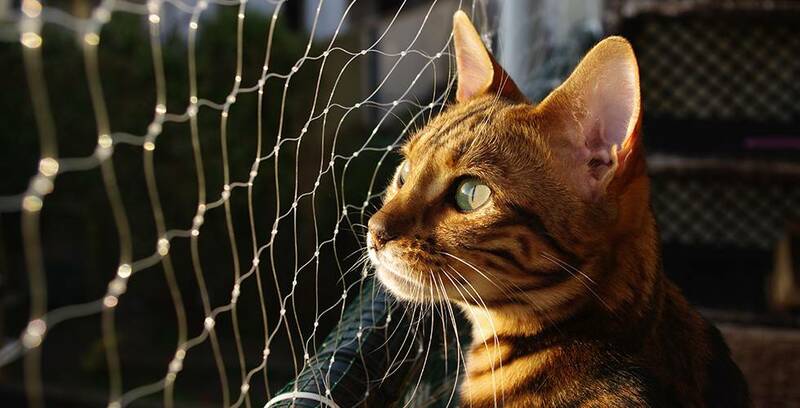 Every cat lover knows that our fur babies dream of fur-olicking in the great outdoors. We watch our cats gaze longingly from their perch on the window sill, trilling at passing birds and basking in the sunlight. The scents and sounds of adventure are calling them, but the outside world is no place for our cats. Vehicles, other pets and predators, poisonous plants and parasites await the chance to take a few lives from our cat kings and kitty queens. A furbulous compromise for any cat lover and their feline master is an outdoor cat enclosure or cat run. A cat enclosure allows our kitties to enjoy the wild, safely. But what kind is best for us? What type of cat enclosure or cat run will suit our lifestyle, our home and our cat’s needs? Although cat lovers have a lot in common with each other, we also have very different lifestyles, homes and, of course, cats! Assessing what is best for your cat enclosure or run needs is ultimately a personal choice. There are two types of cat enclosures and runs on the market for us cat lovers to choose from - a permanent custom build or a freestanding cat enclosure. Let’s have a closer peek at them here. Custom build cat enclosures and runs are made to order and are designed to fit to the space you have. They can be expensive to set up and require construction work to occur. 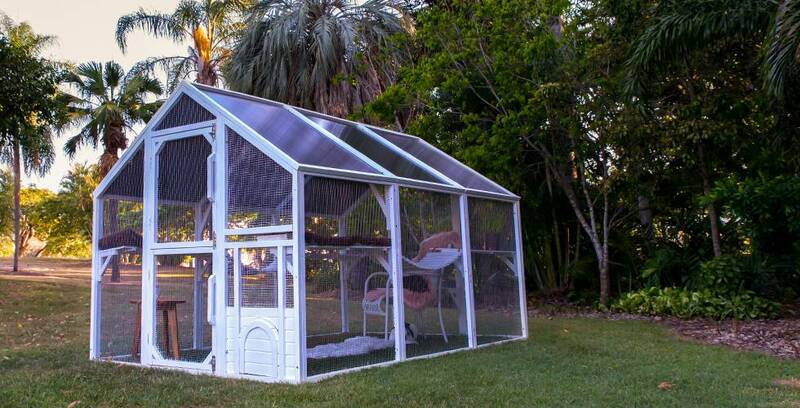 This kind of cat enclosure usually results in permanent attachments to your house, restricting it to one configuration. This is fine for long term house owners but if you're a renter, report to a body corporate or just plan to sell your home at any time in the future, it may not work for your needs. The freestanding cat enclosure is an innovative addition to the pet enclosure market. Outdoor cat enclosures are flat packed, come pre-drilled and are easy to assemble, but if you’re not handy with a screwdriver you can always hire a local handyman to give you a helping paw. A freestanding cat enclosure is less expensive than its custom build ancestors. They can also be disassembled to move with you or be placed in another part of your backyard. Still on the backyard fence about what to choose for your fur baby? We are here to help. Our customer care team are cat lovers, just like you, and love to chat about all things cat safety. Not ready to chat cats? Not a worry - we have oodles of information about choosing your purrfect cat enclosure solution right here.